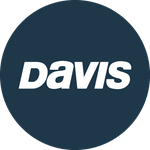 Davis Instruments Support, FAQs and Troubleshooting - Can I troll faster than 2 MPH when using the Fish Seeker? All Categories ​>​ FAQ ​>​ Marine ​>​ Can I troll faster than 2 MPH when using the Fish Seeker? If you troll much faster than 2 MPH the Fish Seeker will develop “Speed wobbles”, turbulence and eventually flip over and try to come to the surface. The Fish Seeker is designed for a low trolling speed and not for use with deep diving lures. How do I store my Vantage Connect when I&apos;m not using it for more than two weeks at a time?